Speculation about the Republican National Convention centered on two things: Whether Donald Trump would bring his reality-TV-honed media savvy to the proceedings; and how the nominee would fare wedding his improvisational speaking style to the strictures of this sort of carefully programmed event. The tumult and discord that characterized the first three days of the convention -- with what can only be called major distractions from the task at hand -- spoke to the first question. And Trump's lengthy acceptance speech Thursday, which appeared at times to handcuff him, rather decisively answered the latter. Those consuming this through the lens of TV couldn't see the speech's other major player, but Trump's TelePrompTer occupied a central role in the drama. Clearly committed not to extensively riff or drift off script -- as was his habit on the campaign trail -- the candidate frequently sounded awkward, raising his voice and emphasizing words and phrases ("regime change," "ever") for what felt like no reason. Setting aside the content of the speech, the structure created problems for Trump that became more apparent as the delivery wore on. He started by rattling off an almost dizzying litany of facts and figures, then turned into sections filled with such a depressing, woe-is-America vision as to create few spaces for obvious applause lines, which seemed to stifle the appreciative crowd. Initially, Trump looked as if he was having the time of his life, and he started out in forceful, restrained fashion. But that quickly faded, as Trump wrestled with the format. Ivanka Trump concluded the parade of Trump-branded children who spoke this week, and introduced her father in warm, measured tones. The stylistic mismatch between Ivanka Trump and Donald Trump felt even more striking once her father began to shout whole sentences. "We can't ignore the presentation," said Fox News' Chris Wallace. "For some reason, he shouted the speech. ... He said each word so slowly that it kind of became an endurance test." During the pre-coverage, Fox News' Bill O'Reilly said that the text -- which was available in advance -- was "designed for television." Yet if it gave that impression on the page, it actually yielded the opposite effect. 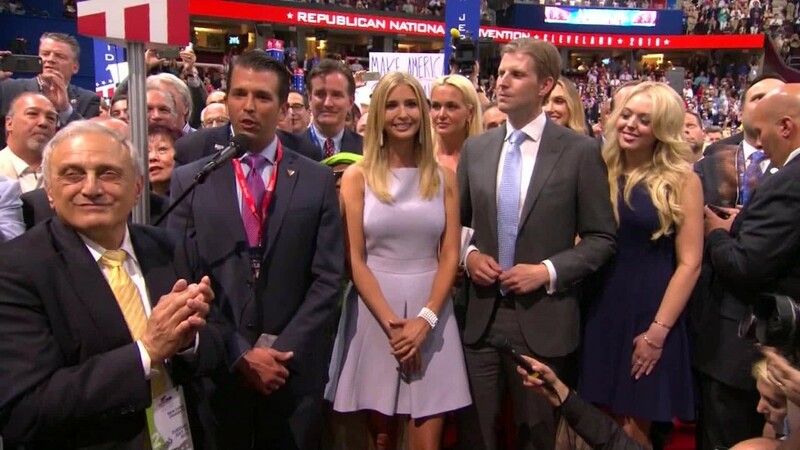 Throughout the week there have been facile comparisons to reality TV, which Trump's campaign helped invite when manager Paul Manafort called the convention "the ultimate reality show." References to "The Apprentice" abounded, with Trump's acceptance essentially serving as the final chapter of a four-night limited series. The analogy, however, only goes so far. Trump is, indeed, auditioning for a job. But in this show, he's not the one who gets to do the hiring -- or the firing.